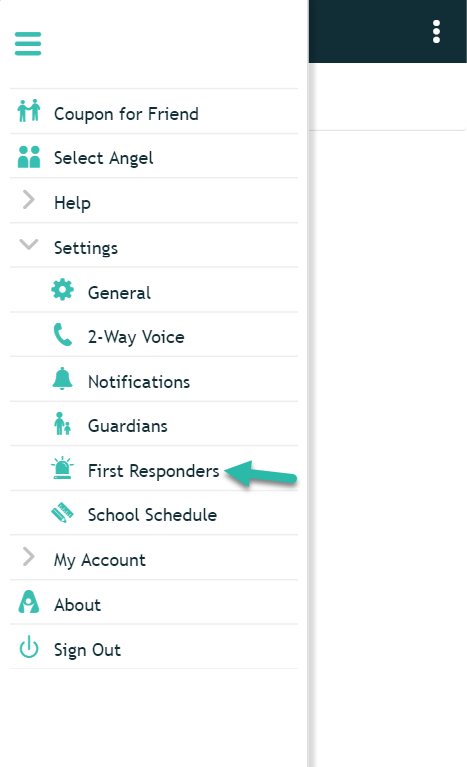 You can add a First Responder directly from within the AngelSense app. 1. Go to your Menu on the left hand side and click "Settings" and "First Responders"
2. 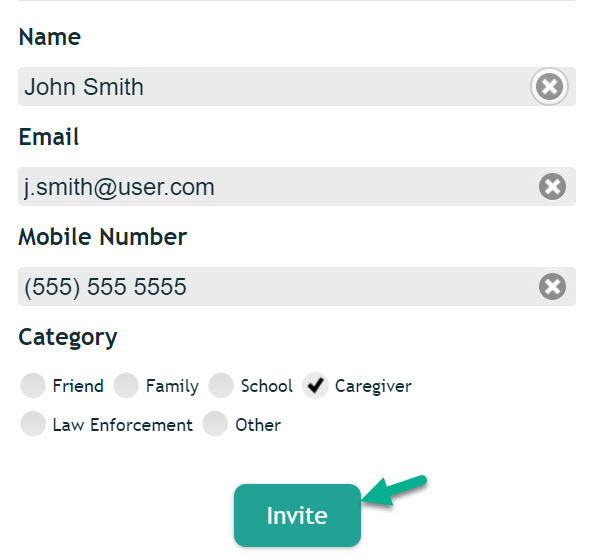 Enter in the First Responder's information and click "Invite". You're done! *All "Guardians" will automatically get the emergency notifications and also have access to the app 24/7. A "First Responder" will only have access to the app and get a notification when you press the button to start an emergency or drill. Therefore, there is no need to have a person be a Guardian and also a First Responder. 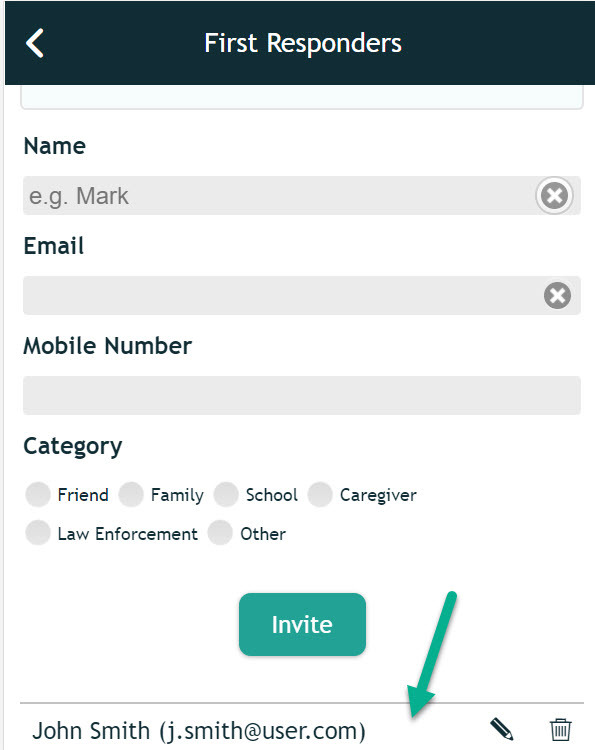 *If you have more than one Angel, you will need to switch Angels within the app and add any First Responders for that Angel as well.